After I have a plan for my design, it is time to knit a swatch. I try to make it at least 3" wide by 3" tall to give plenty of room for checking the gauge. There are a few reasons for making a gauge swatch. When knitting from a pattern, it helps ensure that you will get a finished product with the same measurements listed in the pattern. If you don't knit a gauge swatch and you knit tighter or looser than the designer of the pattern, you may be in for a surprise (and frustration) when your sweater is finished and it doesn't fit. 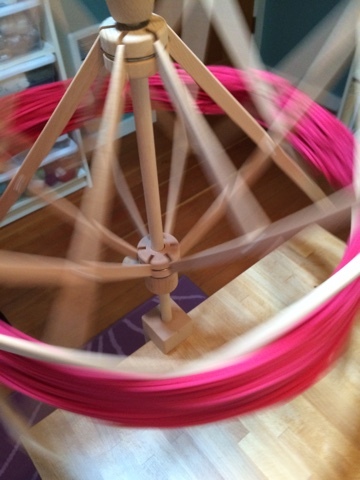 Gauge is especially important for things like garments, but isn't as vital when making things like toys or purses. However, skipping this step may give you a finished product with a different look and size than the one in the pattern. When designing, knitting a swatch is necessary for figuring out how many stitches you will need at different points in the project. With this purse it is much simpler than with a garment. I will only need to figure out how many stitches to cast on. I won't need to worry about increasing or decreasing because there is no shaping. Also the row count doesn't matter since I will simply work until it is the desired height. The swatch also provides me with a sample fabric before I commit to a certain stitch pattern or needle size for the whole project. Sometimes the fabric might feel too stiff and I will need to go up a needle size or two. Other times, the stitches are too open and smaller needles are necessary. I also may not like how the stitch pattern looks and will try different ones until I find one that works. My swatch fabric is a bit firm, but that is exactly what I want for this project. If I were making a sweater with this yarn and stitch pattern, I would probably use slightly bigger needles. 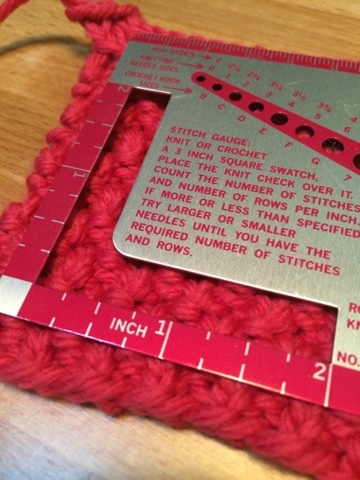 I use a Susan Bates "Knit Chek" or a tape measure to see how many stitches per inch there are. There are about 4 stitches per inch on my swatch. I want the purse to be about 20 inches around (10 inches wide.) I simply multiply 4 stitches per inch by 20 inches to figure out that I need to cast on 80 stitches. 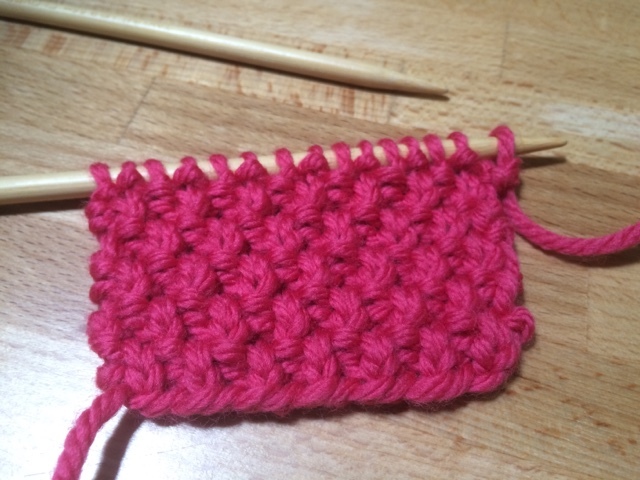 This works perfectly for my stitch pattern, since working it requires a stitch count that is a multiple of two. Next, I will cast on and start knitting!